Mission Foods, one of the world’s largest flatbread producers and a favourite among Malaysians has just introduced their best-selling Pita breads in Malaysia. In conjunction with the launch, Mission shared some brilliant ideas on jazzing up lunchboxes to inspire more people to eat wholesome, nutritious food made with good quality ingredients. 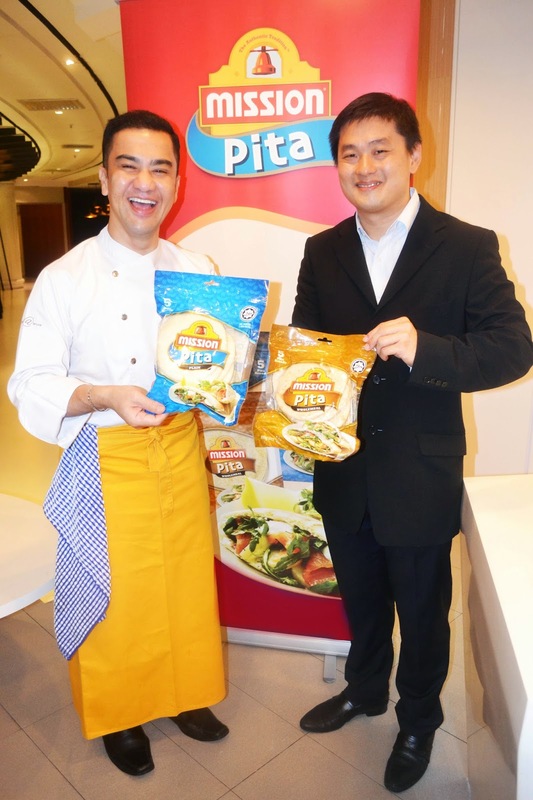 The launch of Mission Pita was held at Starhill Culinary Studio where Chef Zam, a celebrity chef and culinary whiz demonstrated various pita sandwich recipes using his signature flair of keeping things clean, simple and delicious. At the launch, Chef Zam encouraged more people to pack from home as shop-bought sandwiches and snacks are often packed with additives and can also be loaded with mayonnaise, sauces or dressings which are high in fat and salt. “Making your own lunches is the only way to know what’s going in them. It’s really easier than it sounds, and the secret is in mixing things up a bit so you’re not eating the same old thing every day,” said the extremely talented chef who also runs his own culinary school. He showed ways to rebuild leftovers by sprucing up the fillings in a pita pocket with a fruit chutney, cream cheese or sour cream, and a handful of salad leaves and chopped tomatoes. For an Asian twist he suggested leftover sauces from Rendang, curries or sambals with simple meat or vegetable sautees. He also stressed that children should be taught to eat well from a young age and parents should allow them to decide what goes into their own lunchboxes. He encouraged parents to listen to what their kids want and to use good quality, fresh ingredients that’s loaded with omega-3 fatty acids and sneak in vegetables and fruits in creative ways. “With pitas the possibilities are endless, and you can create sandwiches or snacks to suit your mood for the day. Don’t be fooled by the soft velvety texture of Mission Pita as once heated, it can take any sort of filling without falling apart, so let your imagination run wild” said Chef Zam while demonstrating the six different recipes using Mission Pita. For the family Chef Zam demonstrated Mission Coronation Pita Sandwich and Mission Chicken Tikka Pita Sandwich, for the health conscious Mission Turkey and Slaw Pita Sandwich and Mission Pita with Smoked Salmon and Avocado and for kids he demonstrated Mission Tropical Tuna Pita Sandwich and Mission Teriyaki Chicken Pita Sandwich. 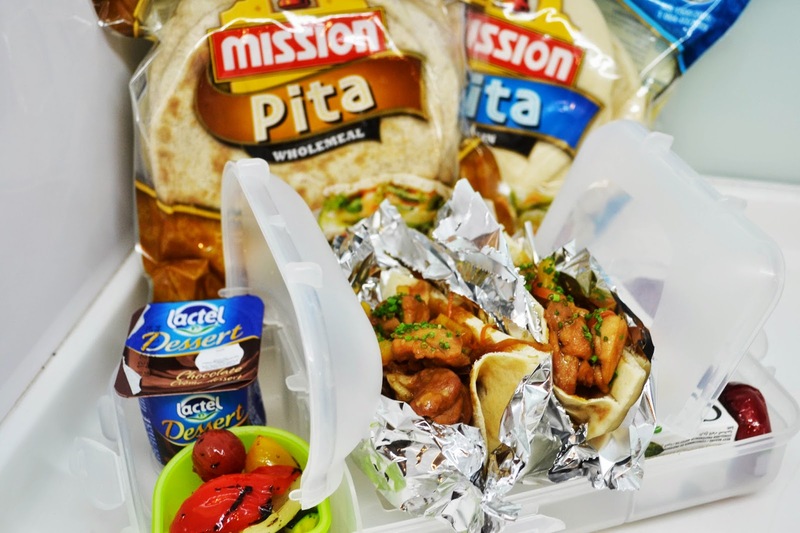 “Mission Pitas are so versatile and convenient to use as the pocket tucks in the fillings neatly and it’s easy to hold when eating, making it suitable for all ages,” he explained. According to research by Mission Foods, Mission Pita has a broad appeal among people (90%) as it is low in fat, is a good source of fibre for the wholemeal variety, is easy to use and won’t fall apart easily. The new Mission Pitas are baked to perfection and available in two flavours – plain and wholemeal. For each recipe, Chef Zam also shared tips and crafty ideas on how to jazz up a lunchbox to go with the sandwiches. From adding toasted nuts, dried fruits and berries to change the texture of a salad, adding a yoghurt, apple halves spread with caramel and chocolate chips as dessert, a frozen juice box that turns into a slushy by lunchtime, or sneaking in a cute message on the sandwich bag or scribbled on a fruit, she showed ways to keep packed lunches exciting and imaginative. 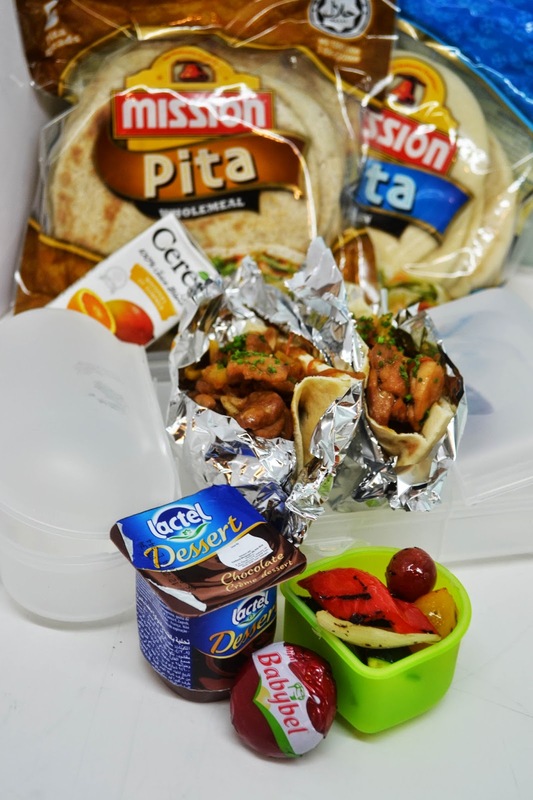 “With the launch of Mission Pita in Malaysia, we wanted to inspire more people to eat well by sharing ideas for packed lunches that are just as exciting and delicious as meals available at trending cafes. You have more control of what goes into your lunch, its quick, easy and mess free and great for those looking to eat clean or want to give the best for their kids and families” said Randall Tan, Brand Manager of Mission Foods South Asia. Mission Pitas pack a punch as a hearty sandwich, in scooping and dipping with a host of dips and accompaniments, as a snack, as a pizza base or as a bread substitute. From the best of Western and European, to the exotic and flavourful of Asian, Mission Pita absorbs all styles and flavours beautifully as its made from top-notch quality ingredients and baking methods. Mission Pita which comes in Plain and Wholemeal flavours are now available at the bread isles of all major supermarkets throughout Malaysia. Each re-sealable pack contains 5 round pitas, and retails from RM6.39 per packet of 400g NET. Stuff inside the pita bread. Stir together the cucumber, yogurt, lemon juice, mint, sugar, and salt in a bowl. Cover and refrigerate at least 3 hours, preferably overnight. In a large bowl, mix together the marinade ingredients. Add the chicken cubes and toss to coat. Marinate at least 20 minutes, or in the refrigerator up to overnight. Heat up some oil in a pan and saute the chicken cubes until half done. Set aside. Using the same pan, add the butter. Saute the ginger-garlic-green chilli paste until lightly browned around the edges. Add the tomato paste and cook until the tomato has darkened in colour, about 3 minutes. Add the garam masala and the paprika and saute for about 1 minute. Add the canned tomatoes, salt, and 1 cup water. Bring to a boil, turn down to a simmer, and cook until thickened, about 20 minutes. Add in the cream and simmer until thickened. Portable cheese cake - layer graham crackers, ricotta cheese mixed with a little sugar, jam or lemon/passionfruit curd. Tropical fruit salsa – chop mango, papaya, pineapple, add in lime zest, lime juice and a little sugar and mix. Mini bell peppers stuffed with cream cheese and diced turkey cold cut –mix cream cheese with diced cold cut turkey. Cut mini bell pepper into two, clean out the insides and stuff with cream cheese mixture. In a large bowl, combine white, red cabbages, Holland onion, golden raisins and green apples with apple cider vinegar and sugar. Mix well and let it marinate for 30 minutes. Squeeze the liquid out of the vegetables. Apple, yoghurt, granola and chocolate chip parfait – layer chopped granola, yoghurt, chopped apple and top with chocolate chips. Crunchy salad with raita dressing (packed separately) – use the same recipe as for Lunchbox 2 but add on crispy roots and vegetables i.e. radish, carrots. Cut the pita bread into halves and toast them (optional). Mix the cream cheese with a dash of cayenne pepper and spread the cream cheese inside the pita pockets. Combine the tuna flakes with cubes canned pineapples and crushed black pepper. Marinate the chicken tenders with teriyaki marinade, water, minced garlic and ginger for 20 minutes. Drain and reserve the fluid. Heat the olive oil and sauté the Holland onion slices until translucent. Add in the chicken for 5 minutes or so. Add the thawed vegetables to the wok or pan. Cook until ready, then distribute it onto serving platters to free up the pan/wok. Pour the remaining marinade (all of about 3 or 4 tablespoons) into the wok and heat to a boil. Thicken it with 1-2 tablespoons of the cornstarch/water mixture. Remove from heat and stuff it inside Mission pita bread that has been halved. Chef Zam was born on April 19th in the East Coast state of Terengganu and started experimenting with cooking from childhood. Having found his passion in food, he enrolled for a Diploma in Chef Training at University Technology MARA (UiTM) Shah Alam upon completion of high school. After his Diploma he joined as a Commis at KL Hilton, Pelangi Beach Resort (Langkawi) and Hyatt Regency (Kuantan), respectively. After a few years of honing his skills in the industrial kitchen and learning some tricks of the trade, he secured a scholarship to further his studies and graduated with ASc. and BSc in Hotel- Restaurant/Institutional Management from Johnson and Wales University, USA. Upon graduation, he moved to New York City to work as the Head Chef at Cafe Aseana in Greenwich Village, Manhattan for about a year before joining Tourism Malaysia New York as the Information Officer. 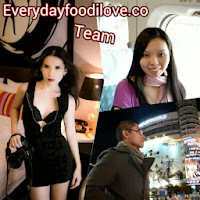 During his tenure, they managed to organize a one-month Malaysian Food and Culture Promotion at the United Nations in conjunction with their General Assembly. At the end of 1997, he landed a job at KDU College as Lecturer from 1998 for 6 years before furthering his studies again at University of West London for Post Graduate Diploma & MA in Hospitality Management. He was made the Head of Special Projects for KDU College in 2008 and has organized various culinary-related conferences, seminars, CSR, trainings, etc. By 2010, he started his own culinary college called 'Silverspoon International College (www.silverspoon.edu.my)', located in Puchong with 2 other partners. He was conferred a Visiting Professorship award by the University of West London in August 2011. Chef Zam has authored and co-authored a few recipe and text books sold in Malaysia and Europe, such as “Spicy Specials”, “Cooking with Marmite”, “Everything Rice and Nice”, among others. He has a string of TV programmes and guests appearances showcasing his signature on screen charisma and flair for cooking in shows such as “Masterchef Celebriti Malaysia” on Astro Ria, “Culinary Asia” on Discovery Channel, “Masam Manis Ramadhan” on TV3 and numerous others. Chef Zam has made a name for himself by being one of the main chefs of choice for events and launches. He also advocates healthy cooking and eating. Mission Foods is a subsidiary of GRUMA, S.A.B. de C.V. GRUMA began its operations in Mexico in 1949. GRUMA is the indisputable worldwide leader in corn flour and tortilla wrap production, with operations in United States, Mexico, Central America, Venezuela, Europe, Australia, China and Malaysia. With the backing of Gruma's global technology and resources, Mission Foods has grown to become one of the largest producers of tortilla wrap products, producing almost a quarter of all flatbreads sold in the world and offers a full line of the highest quality tortilla wraps to satisfy every taste - from the freshest-tasting flour and corn tortillas to their popular whole wheat, multi-grain and fat free varieties.